Celia Knoffloch, owner and manager of Celia's Antiques in Storm Lake, Iowa, at her store in early October 2016. Ed Raber has reason to pay attention to political campaigns. The director of the Washington Economic Development Group, he keeps track of political decisions that could affect the business climate he tries to improve in Washington County, in southeast Iowa. “I still don’t know exactly, for real, what Donald Trump is going to do,” Raber, 49, said. “He can say whatever he is going to do but I don’t really have a clear vision for how he’s going to implement that or do it other than ‘get it done’, which is not really an answer,” Raber, who attended one of Iowa’s first-in-the-nation presidential precinct caucuses back in February, said when IowaWatch interviewed him this fall. “And I think even Hillary Clinton as a candidate has probably spent more time talking about those same things, being dragged into that discussion, so you’re not even exactly sure what she’s going to do. Raber was among several voters reporters interviewed for IowaWatch in late September and through October and who revealed mixed feelings about whether or not they have heard Republican presidential candidate Trump and Democratic presidential candidate Clinton talk about issues about which those Iowans care. It’s not like you haven’t read about voters’ distaste in the 2016 presidential election. The Pew Research Center reported in September that one of every three voters nationwide said they were very or fairly satisfied with their choices for president, leaving two of every three saying they were not too satisfied, or not satisfied at all. The Pew Research Center pointed out that was a 7-percentage-point drop in satisfaction since a survey it did in June and reported July 7. Iowans are in the middle of all of this during these last campaign days leading up to Tuesday, Nov. 8, Election Day because it is a presumed battleground state whose six electoral votes are in play for either Trump or Clinton. 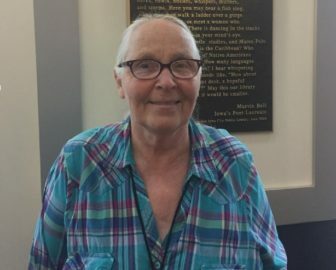 As part of Iowa’s growing retired population, Struxness said she relies on governmental assistance for health care and housing. Those matters were key in helping her decide whom she was going to support, she said. 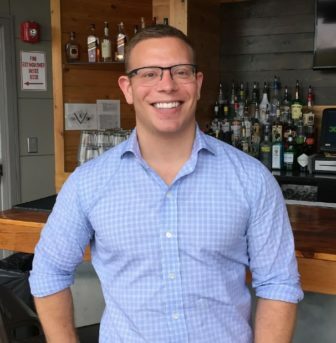 Dan Blum, general manager of the 30hop restaurant in Coralville a few miles from where Struxness lives, said he cares about the economy and taxes. He said Trump and Clinton have addressed issues but only to a small degree. His gripe, he said, is with how they addressed them in the three televised debates between Trump and Clinton. Kimberly Penning, 35, of Ankeny, and a Clinton supporter said climate change is important to her. “But nobody is talking about it,” she said. 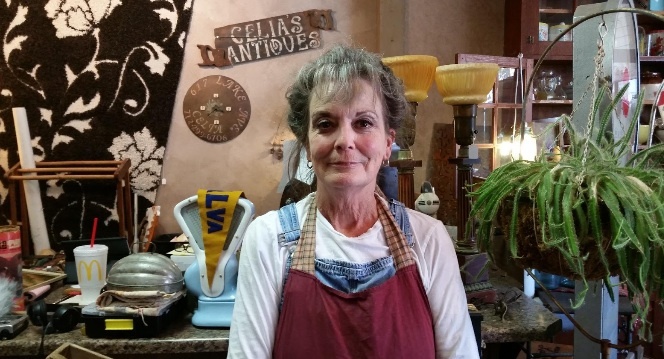 Celia Knoffloch, who owns and manages Celia’s Antiques in Storm Lake, said she cares about equal wages for women and men. She lays blame on the candidates if some voters don’t know where each stands on issues. Todd Dorman, a columnist who has written plenty about this election for The Gazette (Cedar Rapids, IA) newspaper, said he hears a lot of anger when voters talk to him – about the other side in the election. “I get very little stuff from either side that’s: you know, my candidate is great because. It’s mostly: I’m voting for my candidate because the other one is completely unacceptable,” Dorman said. Plenty of Iowans have cast absentee ballots before the Nov. 8 election. Overall, 472,085 had cast ballots already at the end of Nov. 2. Of those, 205,540 were cast by Democrats and 162,467 had been cast by Republicans. Another 1,455 were cast by voters in a category called other but 102,623 had been cast by most elections’ prize – independent voters, Iowa Secretary of State figures show. The absentee early voting numbers are updated at this site. Active independent voters – technically those registering as having no party affiliation – comprised 694,005 active Iowa voters at the end of Nov. 2, Secretary of State figures showed. That is 35 percent of the state’s active registered voters. The state had registered 629,081 active Democrats and 662,167 active Republicans by the end of Nov. 2. Still, election officials in Iowa’s counties were preparing for a large turnout on Election Day. Polls will be open 7 a.m. to 9 p.m.
A July Pew Research Center survey showed the economy and terrorism the top issues on voters minds when that survey was taken June 15-26, 2016. The Gallup Poll tracks U.S. opinion on the biggest problems facing the country and the economy in general, unemployment and jobs, and dissatisfaction with government generate the most responses in its last survey. For some, however, the most pressing political matters are personal. In Storm Lake, Jane Caldwell called herself a proud yellow-dog Democrat, feminist, daughter of a union worker and Clinton supporter. Caldwell is research and development director for Transagra International, a small, family-owned business that makes food products for animals that can be used as an alternative to antibiotics. 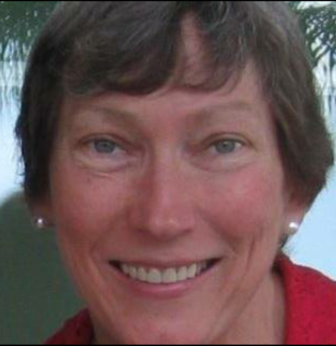 She raised a family, earned her a doctorate and made a career in animal agriculture. Her concern this election season, she said, is caring for the elderly. Her mother is at Methodist Manor Retirement Community, a skilled nursing facility in Storm Lake. Both of her parents have lived there, although her father since has died, she said. Caldwell said her parents lost their home, savings and retirement funds over the years but weren’t eligible for Medicaid. “I’m very interested in the passing of that legislation to reduce that gap or have some sort of transition from one to the other,” she said. Back in Washington, Iowa, business development chief Ed Raber noted how interesting this presidential campaign has been. “It’s been a campaign of mostly revealing the psyches of the candidates and the people who would likely be in their administration,” he said. Julia Davis and Noelle Alkhawaja of IowaWatch and Alex Connor of the Iowa State Daily contributed to this report. Other student journalists involved in a fall IowaWatch/College Media reporting project producing multimedia stories are, from Buena Vista University, Jasmine Bautista and Tiffany Brauckman; and from William Penn University: Bethany Lobberecht, Alyssa Kerry, Markesha Yarbrough and Helene Larsen. This IowaWatch story was republished by the Council Bluffs Nonpareil, The Hawk Eye (Burlington, IA) and InDepthNH under IowaWatch’s mission of sharing stories with media partners.